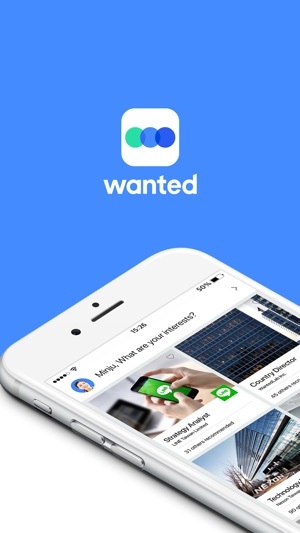 Wanted is a job portal that rewards you when you get hired or when you refer your friends to their dream jobs! Find and apply jobs easily with a few clicks. Besides applying for the jobs you love, you can also recommend anyone you know to any of the jobs on Wanted (even if you are not working in that company). Once the candidate is hired, you will be rewarded with a cash bonus! 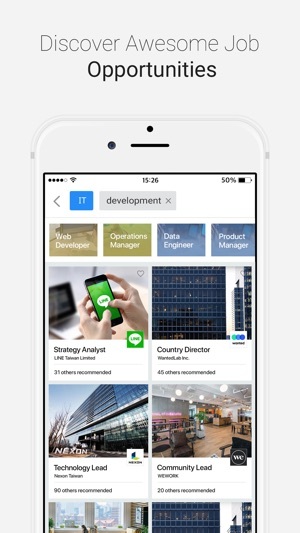 Get notified on new jobs, search and apply for jobs anytime, anywhere. • Want to find out more about a company first? Bookmark the jobs and come back to them later! • Fill up your Wanted profile with your work experiences and receive personalized job recommendations. 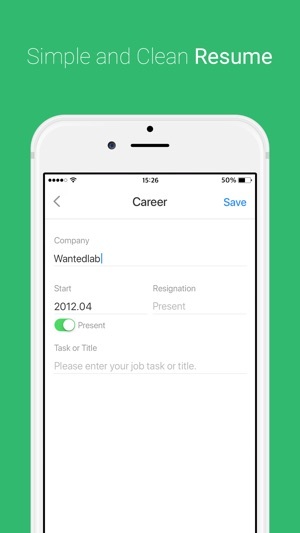 • Easily upload your resume from online storage such as Google Drive and Dropbox. • One-click apply function allows you to apply for jobs on the go. 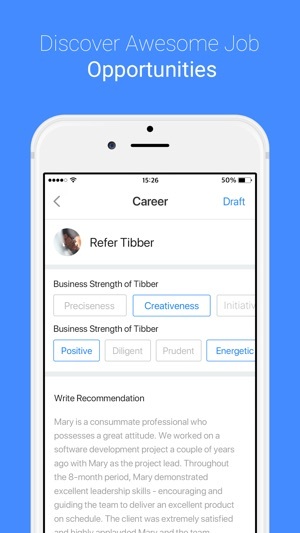 • Receive similar job recommendations based on the jobs you just applied. 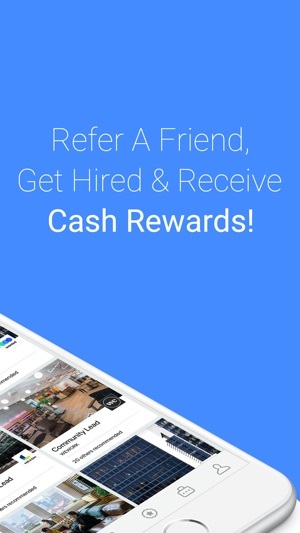 • All referrers will also receive a referral bonus from Wanted when their referrals get hired. Hundreds of companies with jobs are now hiring on Wanted across Singapore, Hong Kong, Taiwan, and Korea. Please feel free to contact us at cs@wanted.jobs if you have any questions or concerns about using the app. We look forward to hearing from you. Get matched to leading companies and receive interview offers! 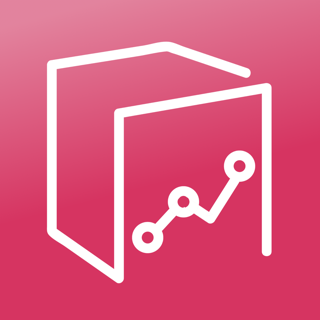 - App stability has been improved. 앱 UI는 정말 군더더기없이 깔끔합니다만 지역이 수도권으로 제한되어있네요. UI가 이렇게 깔끔한 어플은 처음 봅니다. 디자인이 너무 이쁘네요. 회사 목록도 볼 수 있구요. 대신 아직 지방민들이 쓰기에는 많이 부족한 어플이라 아쉽습니다. 워낙 수도권 집중화가 심하다고는 하지만 지방에도 유능한 회사나 스타트업이 많으면 좋을 텐데 참 아쉽네요. 앱 자체는 너무 좋습니다. 원티드도 스타트업으로 아는데 꾸준히 상승세이길 바라겠습니다. 한참 예전에 본 공고도 계속해서 노출이 되어있고 다른 구직사이트에서 내려간 공고가 원티드에는 남아있어 가끔 공고에 대한 신뢰도가 떨어집니다 ㅠㅠ 마감여부와 회사에서 확인여부 두가지를 알수있었으면 좋겠어요! 안녕하세요 모두가 함께하는 채용 원티드입니다. 공고 열람시 불편을 드려 죄송합니다. 공고 등록시 마감일을 별도로 설정하는 경우 공고가 해당일에 자동으로 마감되나 그렇지 않은 경우 일정주기마다 공고 지속여부를 물어 응답이 없을 경우 포지션을 마감처리하고 있습니다. 말씀해주신 이력서 확인여부는 향후 기능을 추가할 예정이니 원티드에 애정을 가지고 지켜봐주시면 감사하겠습니다. 유용한 정보도 잘 볼수 있게 되어 있습니다.